TCM is airing a two-day tribute to producer/director George Pal on Wednesday and Thursday. 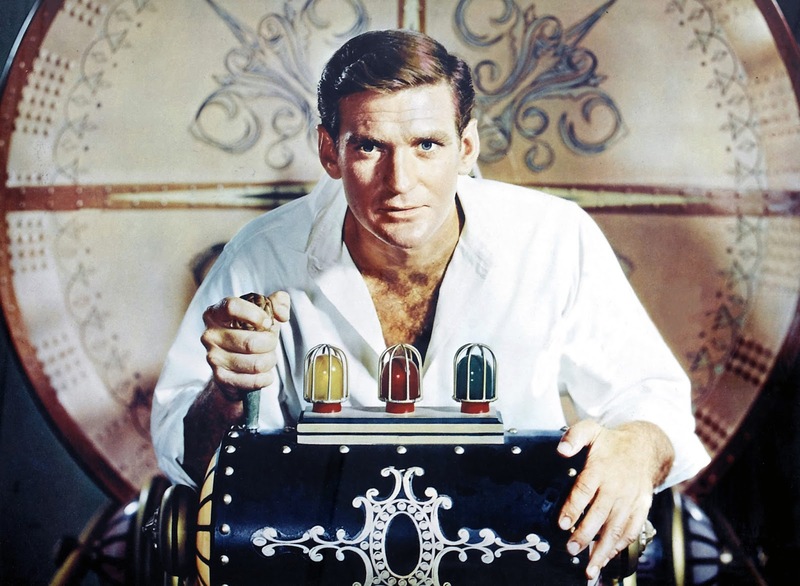 The lineup includes the science-fiction classic The Time Machine starring Rod Taylor. TCM is airing a tribute to pioneering producer/director George Pal on Wednesday and Thursday. There's a documentary about Pal's life and work plus some of his best movies like The Time Machine (1960) and Tom Thumb (1958). 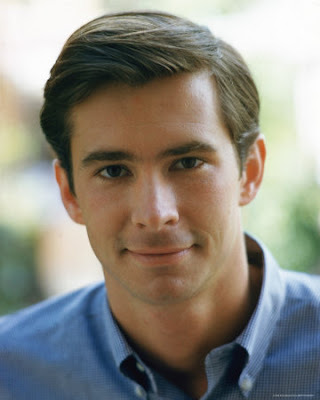 There's also an evening of films from star of the month Anthony Perkins and a daytime lineup of horror films that feature children. (BTW, TCM fan Jennifer Churchill is writing a children's book called Movies Are Magic about the history of classic film. Click here to learn more/donate). Noir Alley: Mailman Farley Granger gets in trouble with the law and the mafia when he steals money in Side Street (1950) at 10 a.m. Sunday. This movie is notable for its New York City location shooting. Watch for scenes at the now-demolished elevated train lines, which were known in the Big Apple as the "Third Avenue El." TCM Essentials: Rita Hayworth plays one of noir's great femmes fatales in Gilda (1946) at 8 p.m. Saturday. Silent Sunday Nights: The seminal Swedish horror film The Phantom Carriage (1921) at midnight. Director/Star Victor's Sjostrom's film about a drunkard who fears he will be forced to drive death's carriage is known for its groundbreaking use of double exposure. TCM Imports: French director Henri-Georges Clouzot's Hitchcockian thriller Diabolique (1955) at 2 a.m. Sunday night/Monday morning is about two women (Vera Clouzot, Simone Signoret) who plot to murder one lady's loutish husband (Paul Meurisse). Best Day to DVR: Wednesday and Thursday prime time and late night: TCM's two-day tribute to George Pal begins at 8 p.m. Wednesday with the documentary The Fantasy Worlds of George Pal (1985) followed by The Puppetoon Movie (1987) at 10 p.m., which features the stop-motion animation shorts that made Pal's name in the 1940s. Pal turned to making live-action movies with the science-fiction classic Destination Moon (1950) at 11:30 p.m. and he continued to have success at the box-office with the H.G. 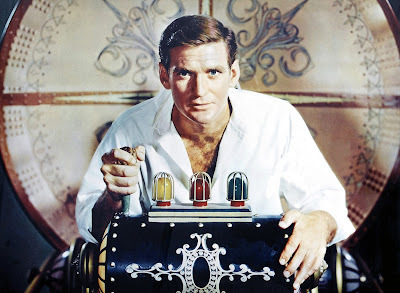 Wells adaptation The Time Machine (1960) at 1:15 a.m. and the cheesy ancient epic Atlantis, the Lost Continent (1961) at 3:15 a.m.
Thursday night features some of Pal's fantasy films starting with Tom Thumb at 8 p.m., which finds a miniature Russ Tamblyn outsmarting mustache-twirling baddies Terry-Thomas and Peter Sellers. Pal combined live-action with stop-motion animation for The Wonderful World of the Brothers Grimm (1962) at 10 p.m. Finally, Tony Randall plays a shape-shifting magician in 7 Faces of Dr. Lao (1964) at 12:30 a.m.
Three daytime picks: The theme is movies featuring the music of Cole Porter including two old Hollywood remakes with his tuneful scores. First is The Philadelphia Story (1940) redux High Society (1956) at 10 a.m. followed by the Ninotchka (1939) re-imagining Silk Stockings (1957) at 2 p.m. Finally, director Vincente Minnelli's experimental musical The Pirate (1948) at 5:45 p.m. includes the Porter standard "Be a Clown." Prime time lineup: Each Monday in October, TCM is partnering with the non-profit organization Women in Film to put the spotlight on the trailblazing ladies who worked behind the scenes in old Hollywood. Tonight's lineup features screenwriters who worked in the 1940s and 1950s. Respected screenwriter Leigh Brackett worked several times for director Howard Hawks, including the classic film noir The Big Sleep (1946) at 8 p.m. Actor/writer Ruth Gordon partnered with husband Garson Kanin on the script for the Spencer Tracy-Katharine Hepburn rom-com Adam's Rib (1949) at 10:15 p.m.
Late night pick: Betty Comden and her writing partner Adolph Green wrote the brilliant script for Singin' in the Rain (1952) at 12:15 a.m.
Three daytime picks: The theme is movies starring George Hamilton starting with the tanned one in the spring break classic Where the Boys Are (1960) at 7:30 a.m. Next, Hamilton gives a good performance as a boisterous Italian man who is in love with a sheltered American girl (Yvette Mimieux) in Light in the Piazza (1962) at 12:45 p.m. Finally, Hamilton has a cameo appearance as himself in the Connie Francis comedy Looking for Love (1964) at 6:30 p.m.
Prime time lineup: Each Tuesday night in October, TCM is airing a lineup of classic horror films. Tonight's movies are from producer Val Lewton, who made a series of low-budget horror films at RKO Pictures that are now considered classics. First up is Cat People (1942) at 8 p.m., which stars Simone Simon as a confused young woman who may have descended from a race of feline shape-shifters (you can catch Cat People's sequel on Friday daytime) Next, Henry Daniell plays a 19th century doctor who performs medical experiments with corpses brought to him by a notorious grave robber (Boris Karloff). Bela Lugosi is also in this film as Daniell's wily assistant. Late night pick: Martin Scorsese's documentary Val Lewton: The Man in the Shadows (2007) at 11 p.m. deals with the producer's life and work. 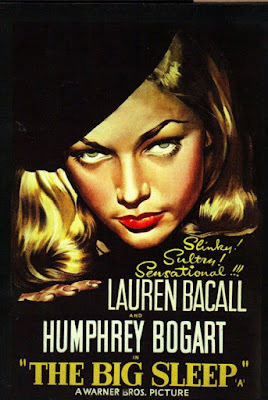 I Walked With a Zombie (1943) at 12:30 a.m. is a version of Jane Eyre set on a Caribbean Island while satanist shocker The Seventh Victim (1943) at 2 a.m., insane asylum chiller Bedlam (1946) at 3:30 a.m., and serial killer movie The Leopard Man (1943) at 5 a.m. are three great later Lewton offerings. Three Daytime Picks: The Lewton chillers continue in the morning with vampire flick Isle of the Dead (1945) at 7:30 a.m. 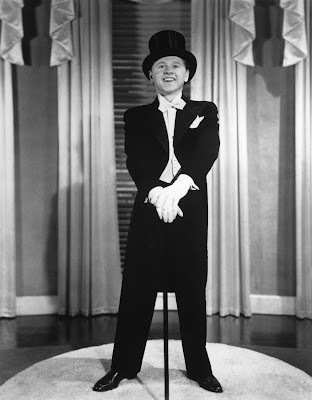 The afternoon lineup is devoted to movies starring Mickey Rooney starting with Rooney as Freddie Bartholomew's BFF in Little Lord Fauntleroy (1935) at 11:15 a.m. Spencer Tracy and Rooney reprise their memorable Boys Town roles in the sequel Men of Boys Town (1941) at 6 p.m.
Three daytime picks: Book your reservations for a day of hotel movies starting with two Grand Hotel (1932) remakes: Nazi-Germany set Hotel Berlin (1945) at 7 a.m. and the Ginger Rogers-Walter Pidgeon remake Weekend at the Waldorf (1945) at 8:45 a.m. 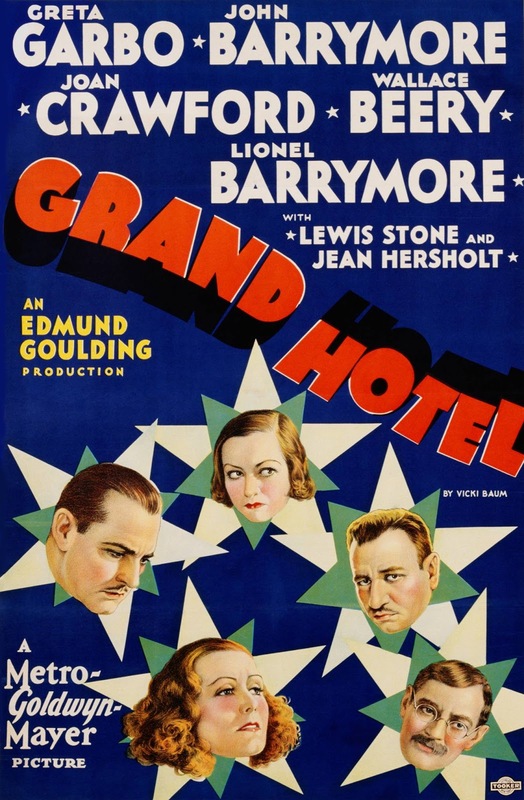 The original Grand Hotel airs at 6 p.m.
Three daytime picks: Friday the 13th starts with a daytime lineup of films about children and the supernatural. One English town is home to a group of bizarre telepathic children in Village of the Damned (196o) at 9:30 a.m. while English governess Deborah Kerr deals with two young charges (Miles Stephens and Pamela Frankin) who may be seeing ghosts in The Innocents (1961) at 1 p.m. 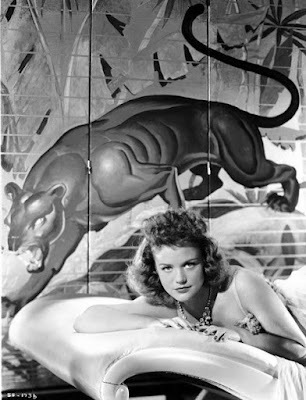 Finally, a young girl (Ann Carter) has supernatural visitations from Simone Simon in the Cat People sequel, The Curse of the Cat People (1944) at 6:45 p.m.
Prime time lineup: Every Friday in October TCM will air films from star of the month Anthony Perkins. 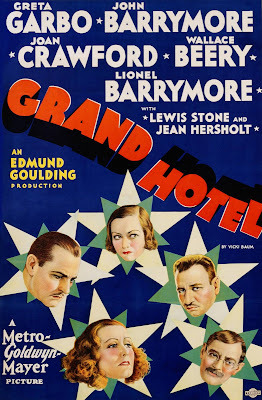 Tonight's lineup features Perkins' film with beautiful costars. In Five Miles to Midnight (1963) at 8 p.m. married couple Sophia Loren and Perkins conspire to collect his life-insurance policy while in Phaedra (1962) at 10:15 p.m. Melina Mercouri falls in love with stepson Perkins. Late night pick: South American explorer Perkins falls for Audrey Hepburn in Green Mansions (1959) at 12:30 a.m. The Essentials series continues at 8 p.m. with host Alec Baldwin. He will be joined by former late night host David Letterman to discuss the film noir Gilda (1946) at 8 p.m. followed by two more films starring Rita Hayworth: The bullfighter saga Blood and Sand (1941) at 10:15 p.m. and the musical Miss Sadie Thompson (1953) at 12:30 a.m.
TCM will air Dracula movies every Sunday night in October. Tonight's lineup features two Hammer horror films with Christopher Lee playing the infamous Count in Horror of Dracula (1958) at 8 p.m. Next up, David Peel takes over the bloodsucking duties in The Brides of Dracula (1960) at 9:45 p.m.